Yogyakarta, Friday, October 19th 2018, the State Audit Agency (BPK), Republic of Indonesian, visited the Master of Science and Doctoral Program, Faculty of Business Economics, Gadjah Mada University (MD FEB UGM) for the initiation of educational cooperation. BPK was represented by Aniek Wulandari and Tri Cahya Wisnhu G as the team that selected BPK scholarship recipients, saying that the BPK leaders wanted to provide scholarships to officials and staff within the Republic of Indonesia BPK to study at the FEB-UGM Doctoral Program. The MD FEB UGM program is represented by Nurul Indarti, Sivilekonom, Cand. Merc, Ph, D as chairman of the Management Study Program MD FEB-UGM and Wiwin Purwanti as Head of the MD Admission Section of FEB UGM explained that the Doctoral Program of FEB-UGM is a doctoral program by research (PhD). The study period of the Doctoral Program of FEB-UGM per 2016 is four years and a maximum of five years consisting of 1.5 years of coursework and the rest of the dissertation. Nurul Indarti, Sivilekonom, Cand. 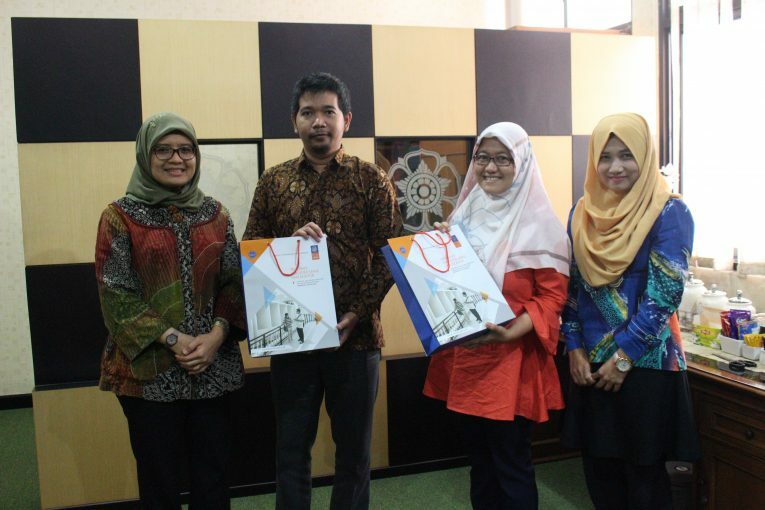 Merc, Ph, D also added an explanation related to the Master of Science Program of FEB UGM.